Among the available dental devices, dental veneers are a strong solution for fixing the appearance of teeth. The goal when you go to a cosmetic dentist is to make sure you leave with a better smile and great-looking teeth. Your Houston cosmetic dentist has a number of tools and tricks, including multiple treatment options that a dentist can use in tandem to give you the best results. Among other options, dental veneers shine above the rest with their price point, ease of use, and a number of other advantages they bring to the table. As the demand for better-looking smiles has increased, dental veneers have become one of the most popular ways to achieve that. Many people like the fact that dental veneers augment the teeth, keeping most of your original tooth structure in place while making them look better. Whenever you start augmenting your teeth or using a dental prosthetic, you will be in a situation where your Houston cosmetic dentist will need to remove some or all of your natural enamel to fit the new device. With dental implants, it is even more severe. Dental implants, unlike dental veneers, require that we remove the entire tooth and the root with it, so there is room for a new implant and its new crown. 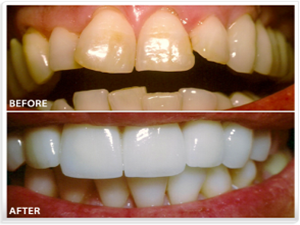 The ability to save the vast majority of your enamel is only one advantage dental veneers offer. Other advantages include quicker healing and treatment time.